Ok small confession. I made both of the items you are about to see before my summer holidays. I made them when the weather was piping hot, and as soon as I returned from holiday the weather took a downhill turn. 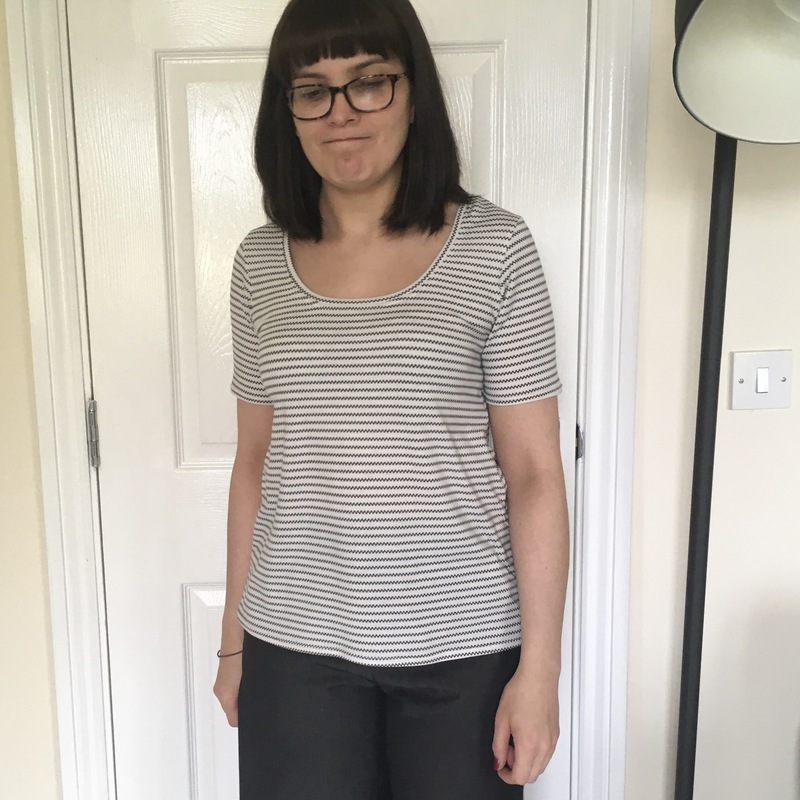 I’ve been trying to take blog photos as I wear the items, and while the tee is something I’ve had on quite a bit, the trousers not so much. I know I know… they are awesome… if I do say so myself! Can you see it? No? I lengthened the sleeves. It’s very small as far as changes go, but it makes it much more comfy for me. And this jersey (from my Autumn 2016 Fabricland haul) is soft and drapey and perfect! This tee has been worn loads already and will probably continue to get such treatment. 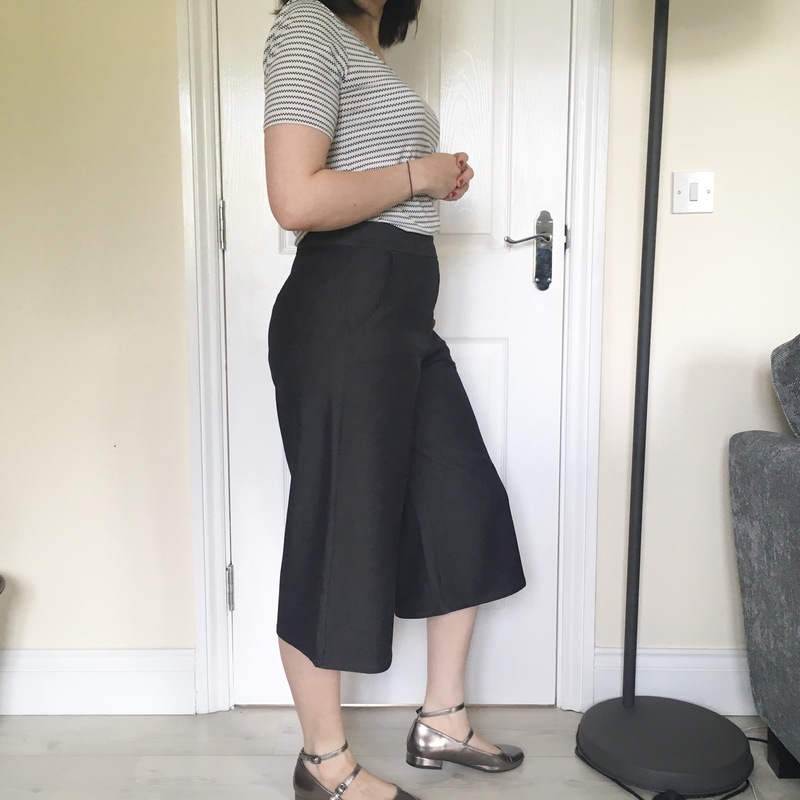 Anyway… those trousers… I love the culottes trend flashing up everywhere but I wasn’t sure I wanted to go full culotte, so I decided some wide leg cropped trousers would do the trick. 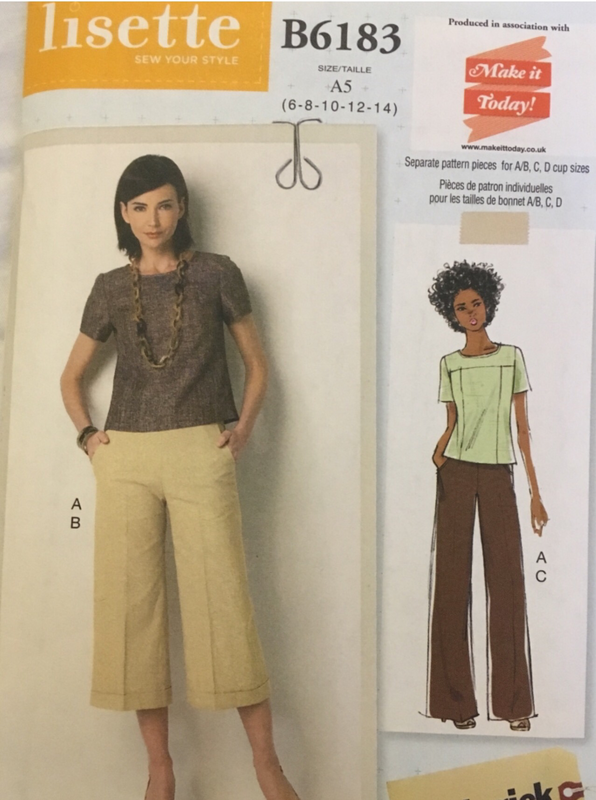 I used the Lisette pattern that came in a sewing magazine… view B obviously. 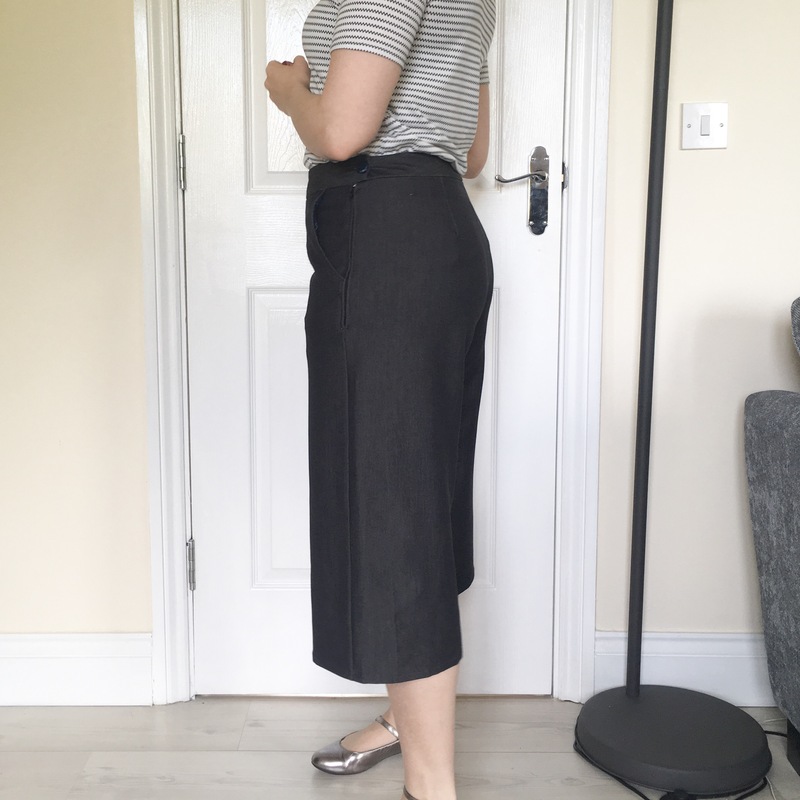 I used the same chambray as I used for my wrap dress… because it’s just beautiful stuff! Because of my shape some adjustments were definitely required. 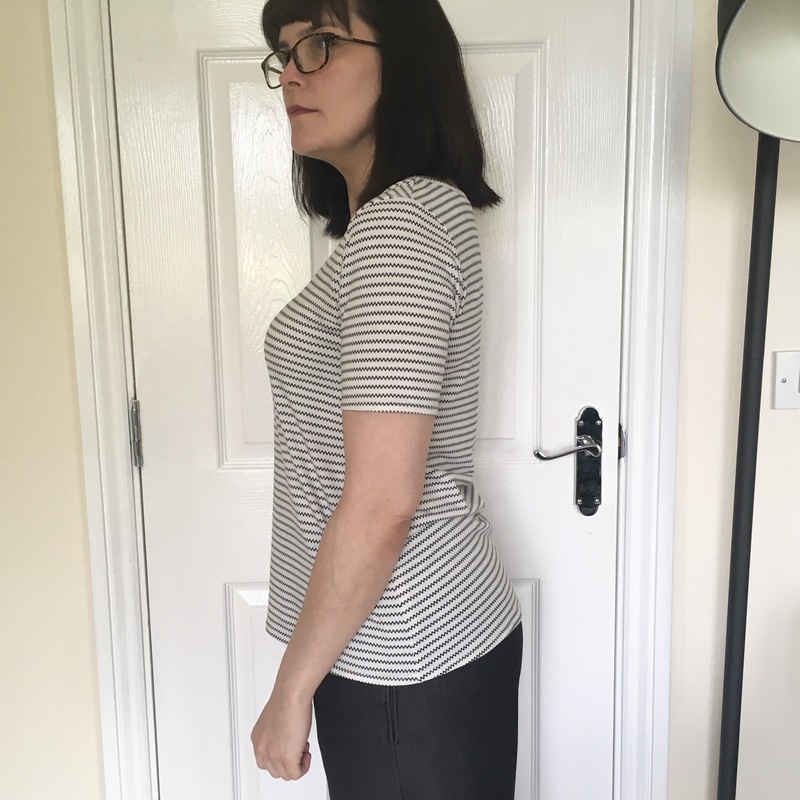 I have wide hips, a narrow waist, and a sway back. 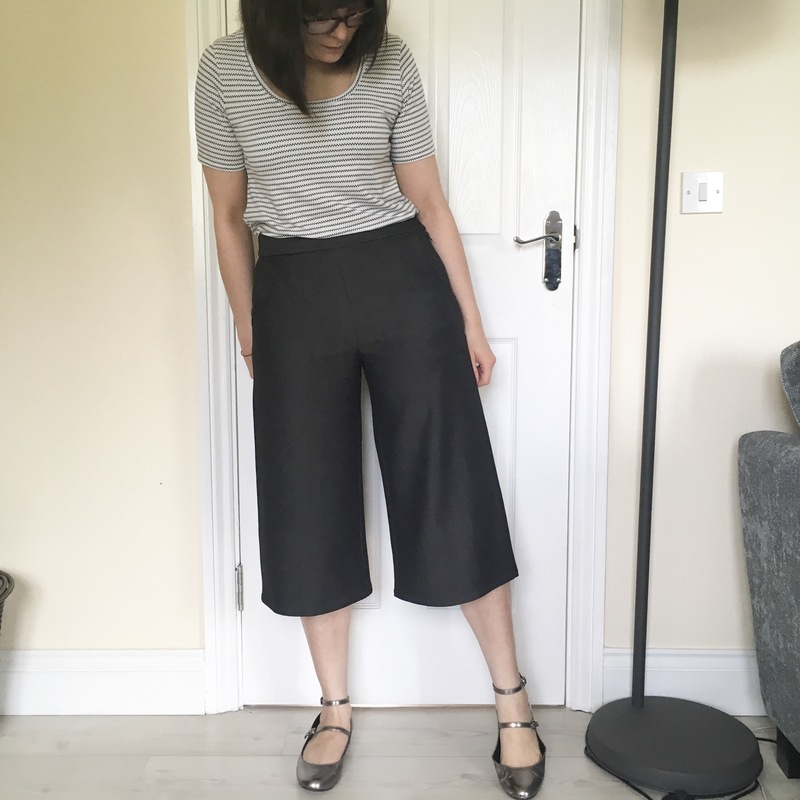 These are the three reasons I’ve not attempted trousers before. So, out of character for me… I made a muslin! The results, I think, are pretty good. 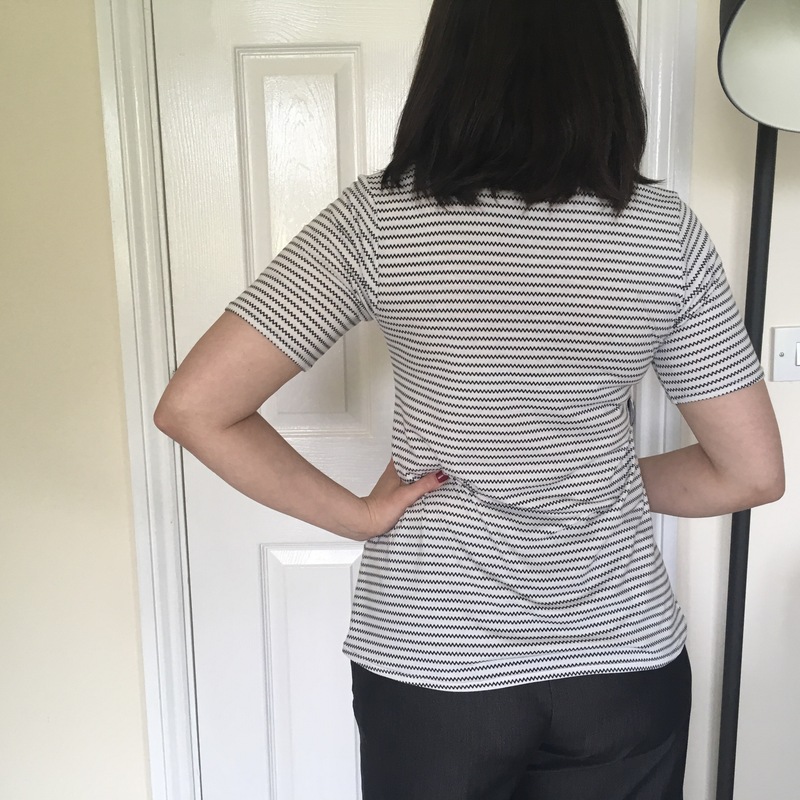 I’m going to use the same adjustments in the future for trousers and skirts to get that good fit over the hips and waist. 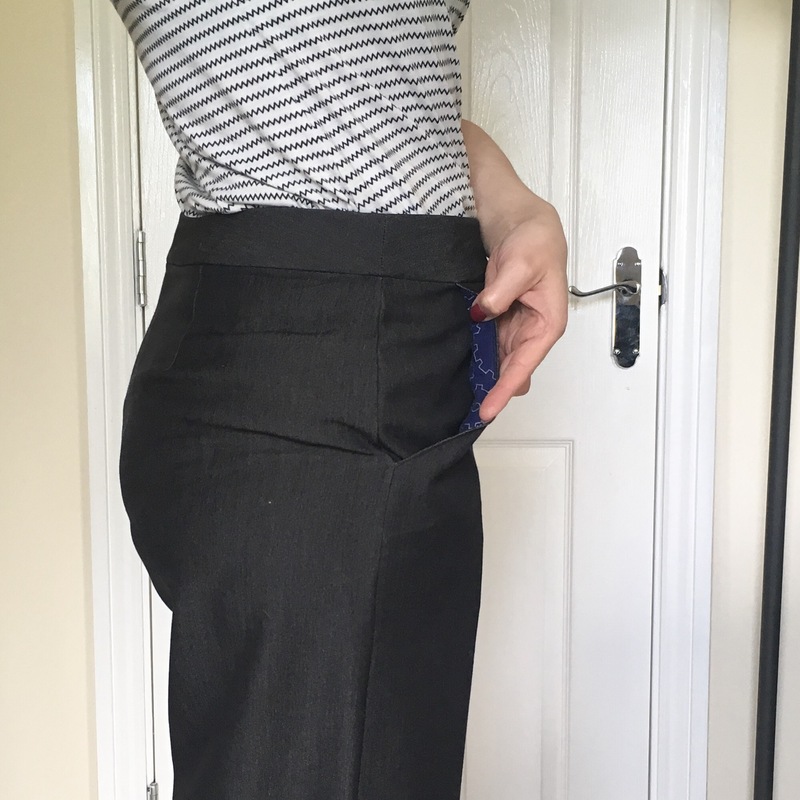 I’ve been blighted by ill fitting waistbands up till now… well no more you hear me?!! I’ve found a solution!! 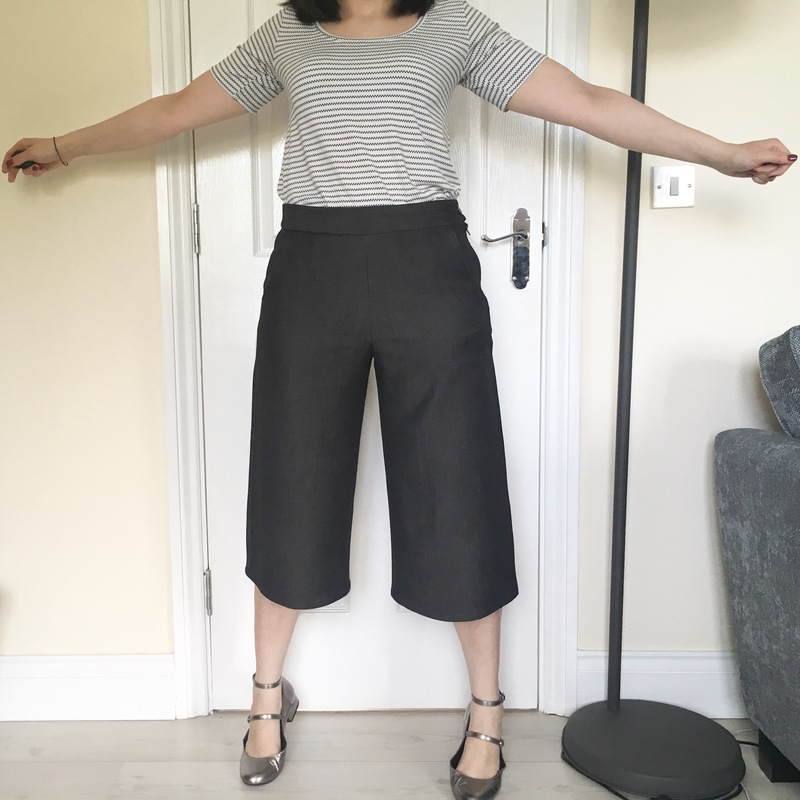 The legs are a bit too wide for full length trousers but if I use this particular pattern again I’ll narrow the legs below the hip… hey I’m getting grave here… another pair of trousers! 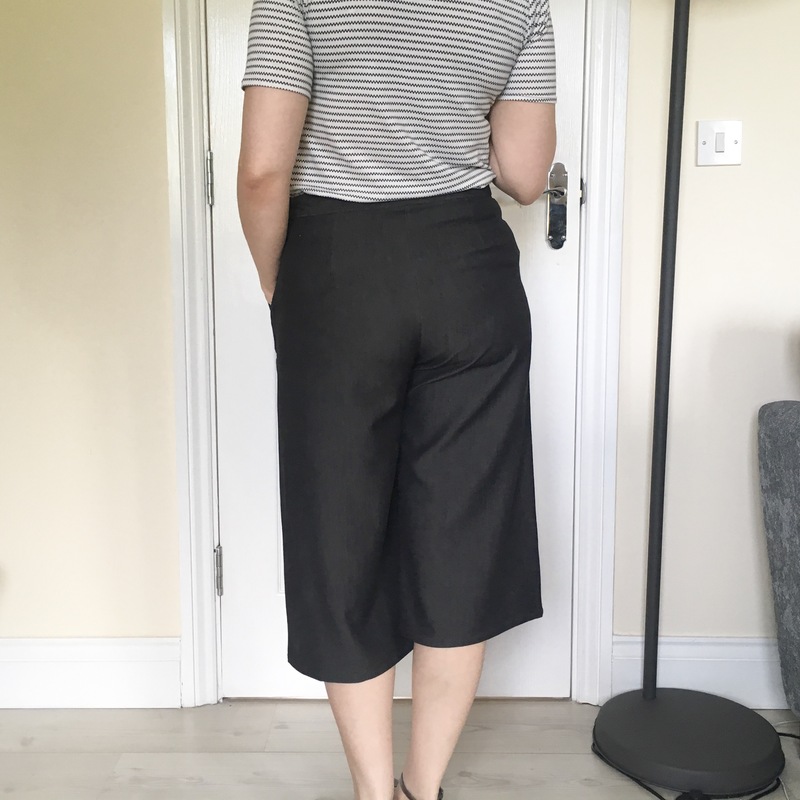 I did have room for some homemade touches in the pockets, I lined the pockets and the inner waistband in this cute cog cotton… I couldn’t not, right? Oh and would you like to see this outfit in the wild? 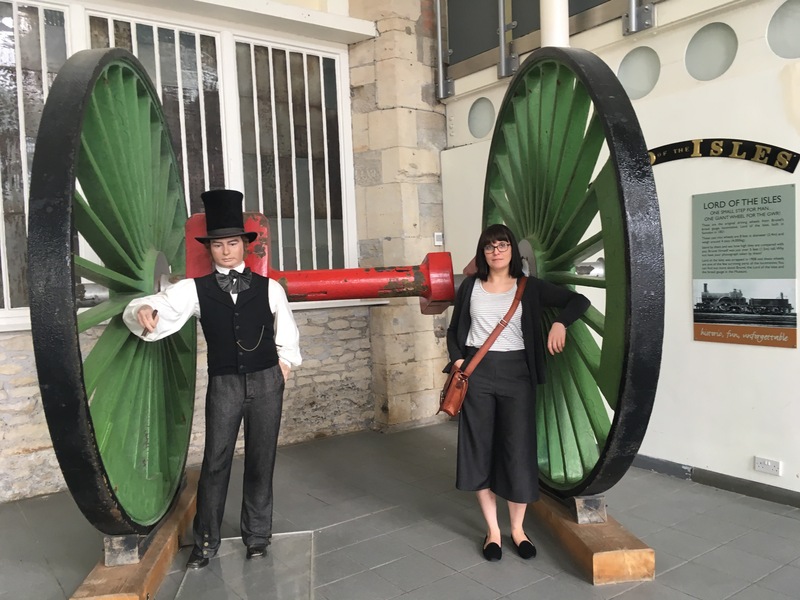 Here’s me with my mate Isembard Kingdom Brunnel… wearing oddly similar clothes at Steam museum in Swindon over the summer.